'Stilled Composition 24' by Kelly Austin, 2017. A solo exhibition by ceramist Kelly Austin. Austin’s work challenges our perception of seemingly familiar ceramic objects. 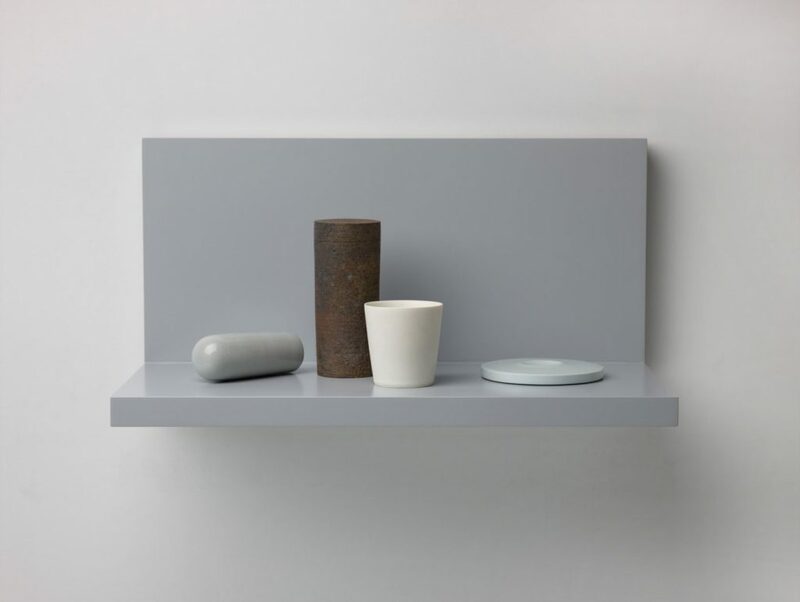 She is interested in abstracting utilitarian forms, working with ambiguity and referencing still life paintings such as the work of Giorgio Morandi and Jude Rae. During the development of this work, Kelly undertook a mentorship with Kirsten Coelho, one of Australia’s top ceramics practitioners.